configuration of the Toughbook, this Havis Docking Station will offer laptop charging, security, and connection to peripherals in any work environment. Maximize your productivity with this lightweight and strong design that is built with theft deterrence, longevity and stability in mind. Cradle (no Electronics) for Panasonic Toughbook 20 , 2-in-1 Laptop with power supply. 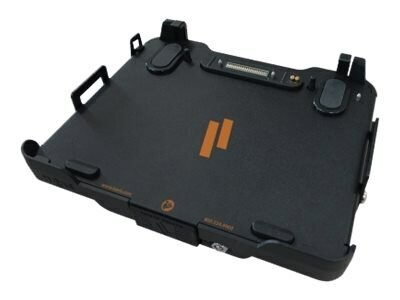 Ultra-rugged, lightweight, flexible cradle solution for Panasonic Toughbook 20 in laptop or tablet only configuration. Includes power supply with customized cord length and connector tip. Cradle-only version with no Electronics gives you a safe and secure mounting option for your tablet.